Preschoolers will be really proud to READ this Alphabet Letter Book! 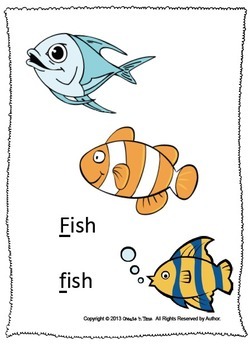 Letter Book F is all about F --from Frogs and French Fries to Fish and Football! 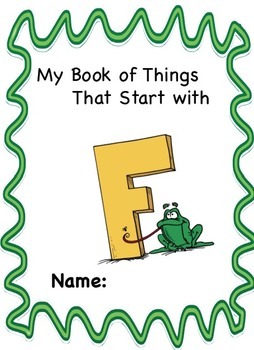 Each letter book features words and colorful pictures of objects whose names begin with the featured letter. In addition to the pictures provided, a blank frame is included for children to individualize their books by adding pictures and words that have special meaning for them. 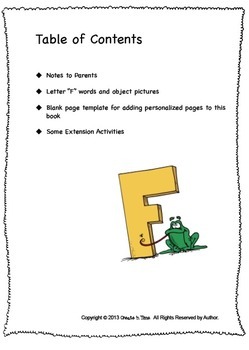 Each book also includes extension activities designed for children to do with their families or other children: art activities, walks, lists of books to read, snacks, games, all associated with the featured letter. These Alphabet Letter Books are NOT designed to teach sight words. 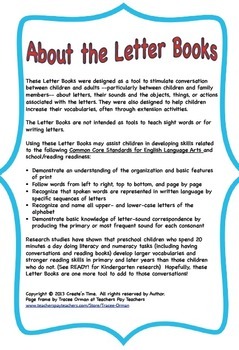 Rather, they are designed as tools for children and families to use in having conversations about letters, their sounds, and the objects that are associated with that letter. Letter Books develop letter recognition skills (capital and lower case), letter-sound association, and letter/word/object association. They are great tools for developing association with books and reading from top to bottom, left to right. Letter Books are great tools for early reading activities in the classroom, for parent-child activities, extra reinforcement, for homeschooling, and FUN!